Our guest is David Roman, a remarkable, young, married Christian man with a child, who has fully recovered and is the proprietor of four restaurants in Orange County, California--all with the name Roman Cucina. And we first met David when he attended a small conference in San Juan Capistrano, came up to me after the talk, said he was a Christian and that he wanted to learn how to sponsor people. But that was only a beginning. Before long, David began distributing free my A.A. history and Christian Recovery books to his family, employees, church friends, and recovery fellowship contacts. He catered free of charge large Christian Recovery Conferences we held in His Place Church, and was working with others in the International Christian Recovery Coalition to bring Jesus Christ back into the recovery picture and help others learn what God could do for them if they sought His help today. He took a special interest in the three segments of the Bible early AAs considered absolutely essential--Jesus' Sermon on the Mount, the Book of James, and 1 Corinthians 13. 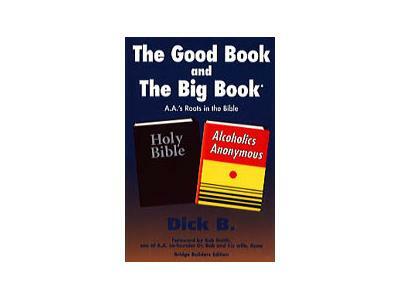 And he freely distributed our most popular book, The Good Book and The Big Book: A.A.'s Roots in the Bible. David got to know and work with many Christian recovery leaders in his area and church. Not long ago, he announced to Ken and me that he wanted to set up a new type of Christian Sober Living Home. It is called Freedom House. He placed in charge of the home his and our friend Danny Simmons--a devoted, recovered Christian who lives in Costa Mesa. It is under the supervision of Dr. Robert Tucker, founder and president of New Life Spirit Recovery, Inc., in Huntington Beach. Dr. Tucker is also President of the Association of Christian Alcohol and Drug Counselors, trains Christian counselors, conducts a Christian treatment program in Huntington Beach, and is very active in church life. David will tell you about his life, plans, family, goals.